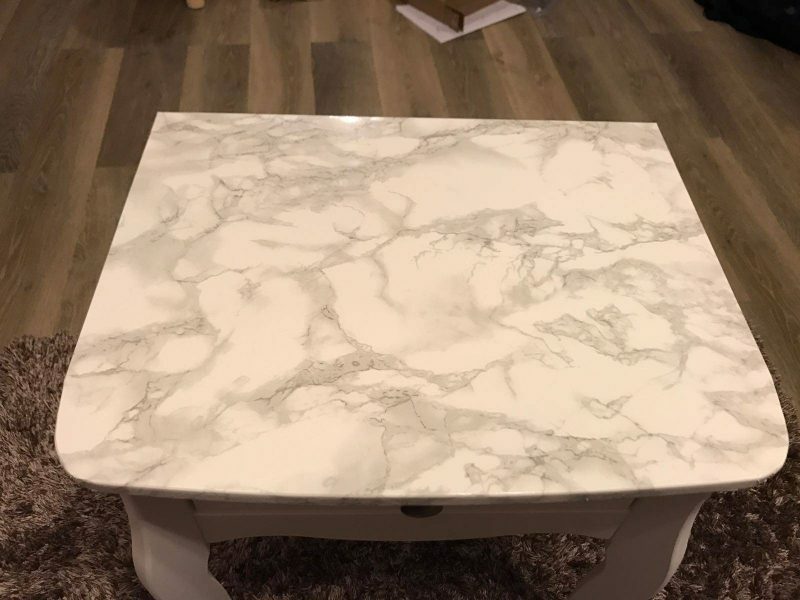 I’ve always wanted a marble table and I had looked at a few online, but to be honest they were really expensive. So, I thought why not make my own. Being a blogger, I have seen some amazing Instagram pictures online that inspired me to have my very own marble place to take my own pictures. I found that many bloggers use marble paper for their pictures and from that I came across the phenomena of sticky back paper. So, thus I embarked on the journey of creating my own marble table. 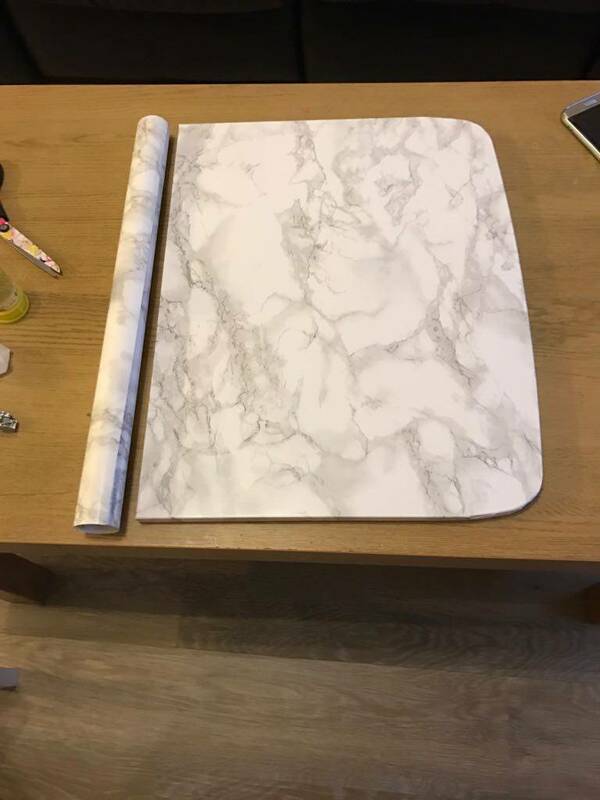 Firstly, I ordered some marble sticky back paper to use on the top of bedside table. I ordered the paper from Amazon. 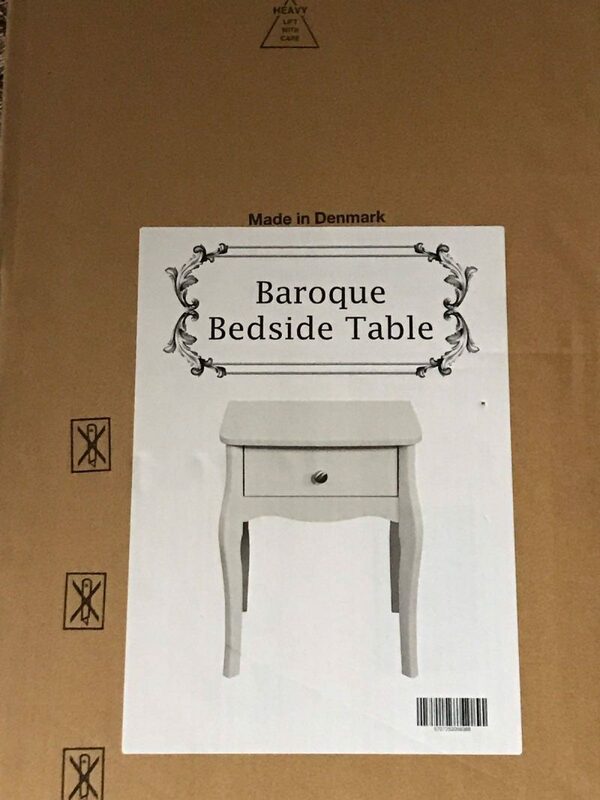 Then, I looked for the perfect bedside table, or one that I would like at least. I was considering Ikea, but those tables were not as nice and what I was looking for (in my mind’s eye that is). 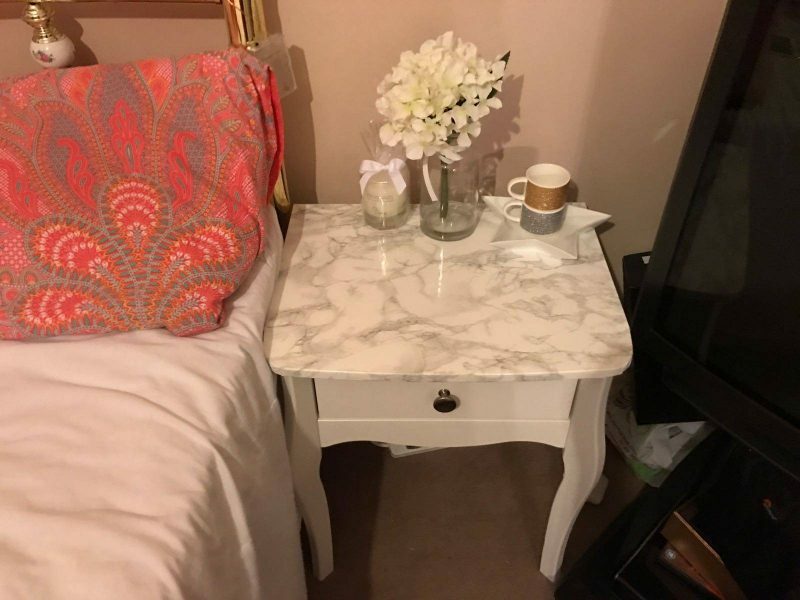 I did however, come across the perfect bedside table from none other than Home Bargains, which was also at the perfect price of £29.99 and it was also elegant looking. I could envision this table looking really nice next to my bed. 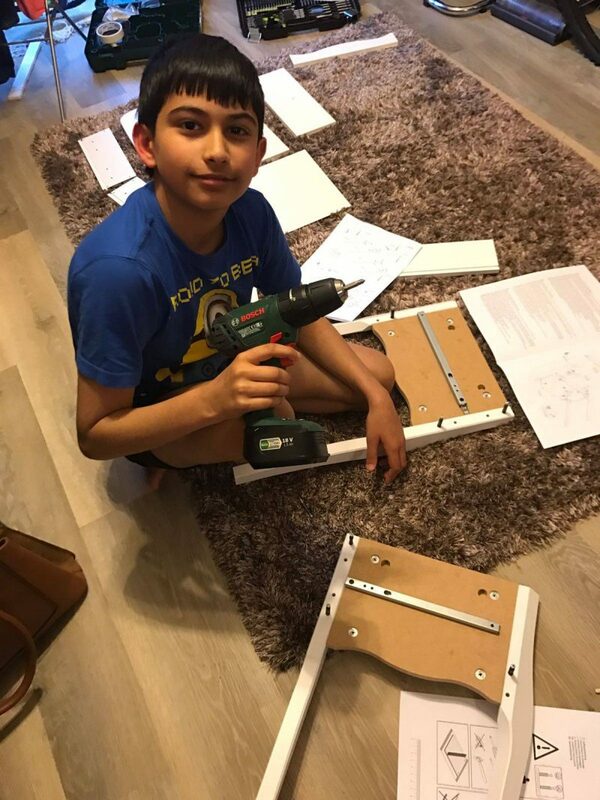 My son wanted to get involved with the project, so I allowed him to help me with the project. He was really good at helping assemble the table and I was proud, as was he. 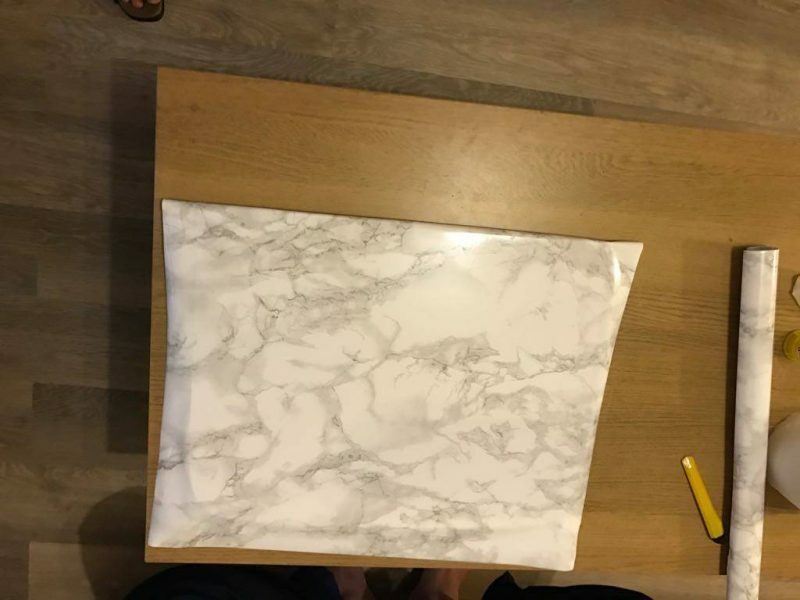 So the table was assembled, but before the top was added, we cut the marble sticky back paper to size for the top and stuck it on. The sticky back was peeled slowly and stuck on so that the bubbles could be ironed out, either with the fingers or with a book. As the paper was cut to size, it was also cut like as if wrapping a present with small cuts for easier folding. The only tricky bit was that it was rounded at the front. A tip is to have flat edges or right angles. The finished marble top was then placed on base of the table and drilled into place through the draw. 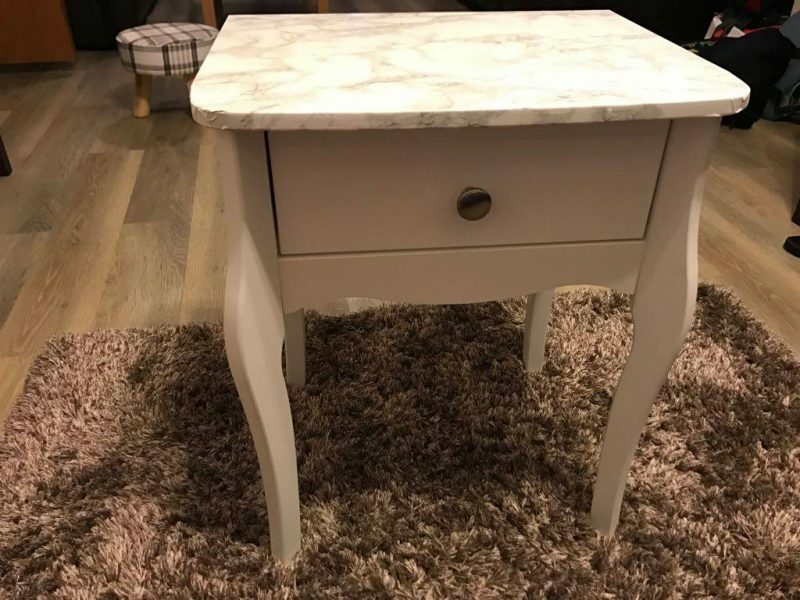 The knob of the table was luckily grey, so goes well with the grey tones of the marble. I did get some fancy looking knobs to put on it and these can also be bought from Home Bargains too. Overall, I was really happy with the outcome of the table. I prettied it up a little more with some nice flowers, a star dish and a candle. I am now on the hunt for the perfect lamp! I must say that making something yourself has it’s own charm and a sense of accomplishment, especially when you get a child involved. 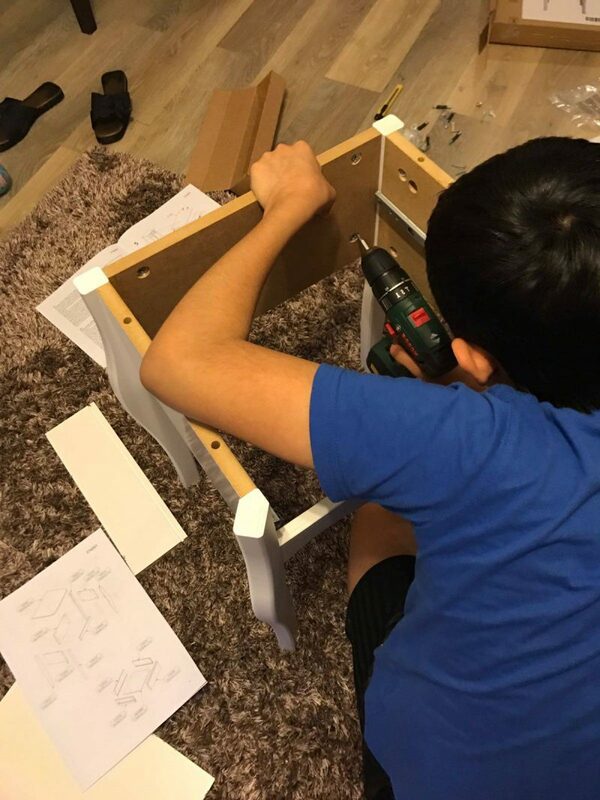 I was so proud of my son to offer to help me with the finished project. The table not only looks pretty, but very practical – now I have a place to keep my mobile without having to prop it up with my hands and get tired. I can also keep the tissues close by. LOL. Here is the finished article! Do you like it as much as me! 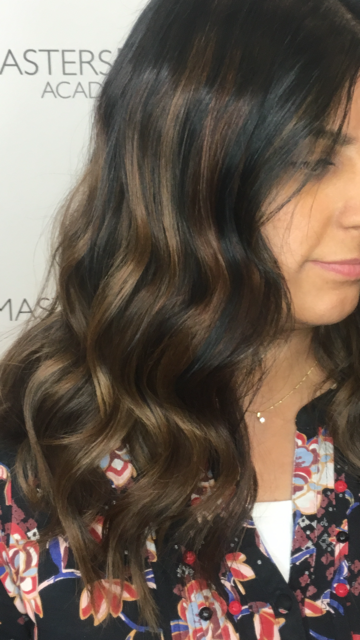 Thank you Sarah, glad you liked it. The edges were tricky, but still worked out well. It does look like marble when viewed from the top. Thank you Lilinha, he was a trooper and great helper! that is such a good idea and a way to make something look so much more expensive! Thank you Kitty, I do think it does look good and elegant. A good way to Jazz up a table for not much money. Thank you for loving my table, I am well chuffed with it! 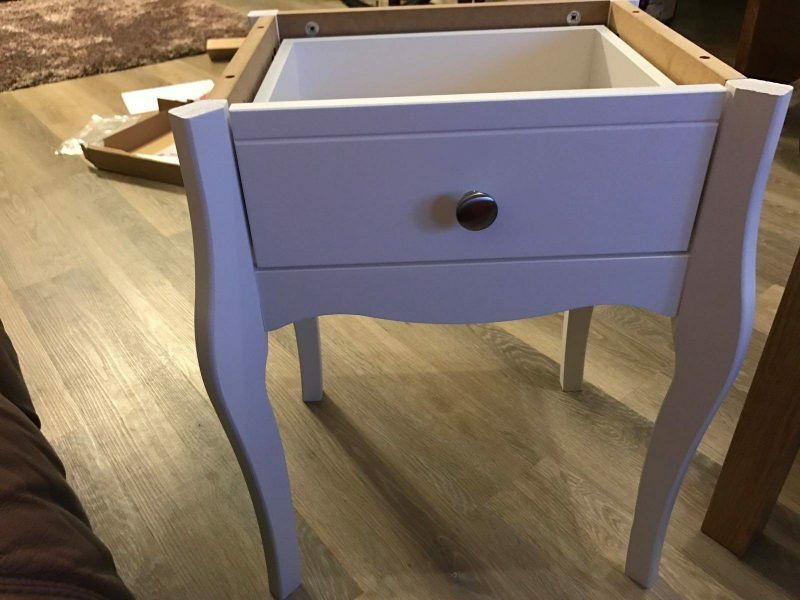 Thank you so much for loving my idea and finished table. Oh wow, this looks gorgeous and expensive! I would go for it. The paper isn’t so expensive and you can get it from Amazon. 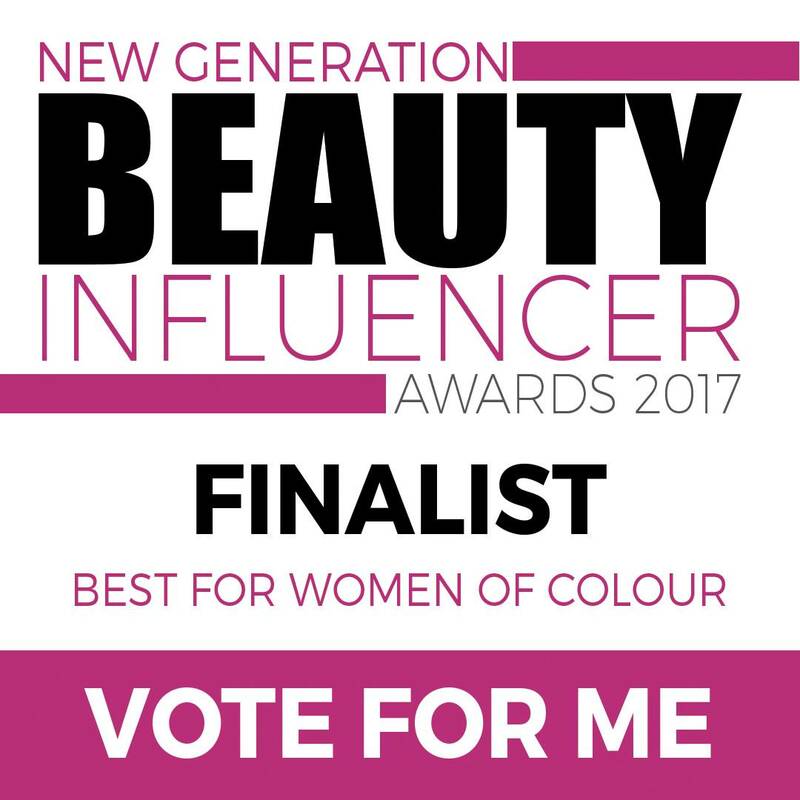 Thank you, I was happy with the result. The marble paper is really good. Oh I really love this! I have such a thing for the marble look! What a great idea. Thank you so much for liking it! Yes, I love marble too and it’s very popular at the moment.